As we look ahead to the future, we have identified five main themes to tackle during this year’s conference in order to bring to the foreground the most important strategic elements to consider. 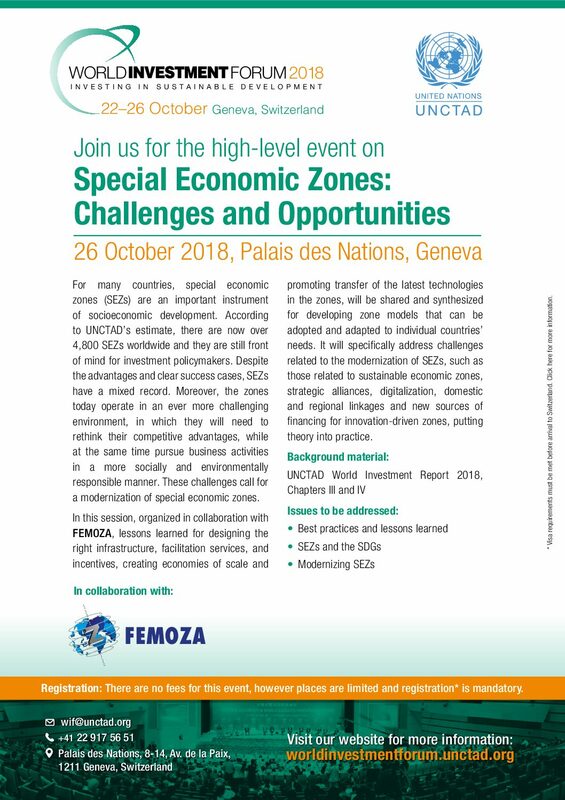 By combining the extensive range of online tools that we already offer with the shared knowledge that will be presented in the course of our discussion panels, the World Free Zones Organization aims to deliver to everyone present a concrete sense of progress and opportunity in the free zone landscape. Held annually, the World FZO AICE is the world’s “must attend” event for free zones and associated entities. It is an opportunity to build awareness among World FZO members and prominent participants from across the globe. Attendees benefit from broad-based insight on critical issues affecting free zones, as well as various networking opportunities with key international decision makers who have an impact on business, trade and investment. In 2019, the World FZO AICE is taking place in Barcelona, Spain 26 – 28 June at the Palau de Congressos de Barcelona conveniently located in the picturesque Montjuic, near to the Catalan modern Art museum. AICE will run at the same time as SIL Barcelona, the leading exhibition for international logistics and material handling. UNCTAD e FEMOZA promovem seminário sobre zonas francas no 2018 World Investment Forum – 26/10/2018.